ePublishing Knowledge BaseePublishing Knowledge BaseePublishing Knowledge Base Creating, Managing & Selling SubscriptionsHow do I create a recurring billing / automatically renewing subscription product? You can create subscription products that automatically renew if your subscription fulfillment service ePublishing is integrated with permits. 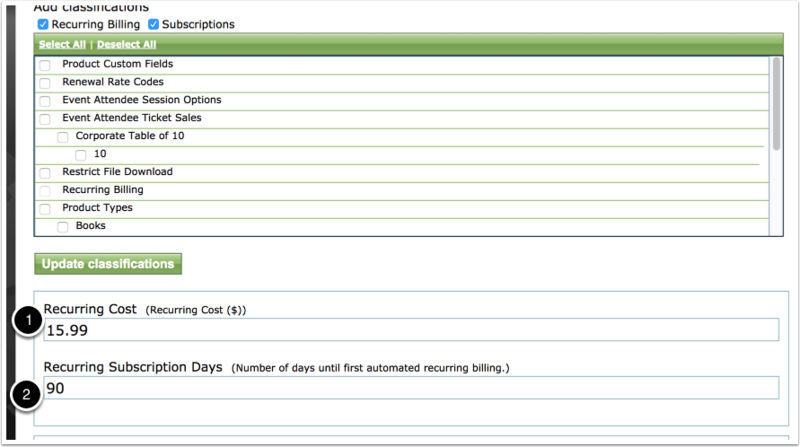 Follow these steps to set up a recurring billing subscription product. Recurring billing currently only works with Authorize.net as the payment processor and with a subscription fulfillment service integration that supports recurring billing. Talk to your project manager if you have any questions. Follow the steps for creating a new subscription product using the new templates , using the original subscription template, or select an existing subscription product to edit / update. 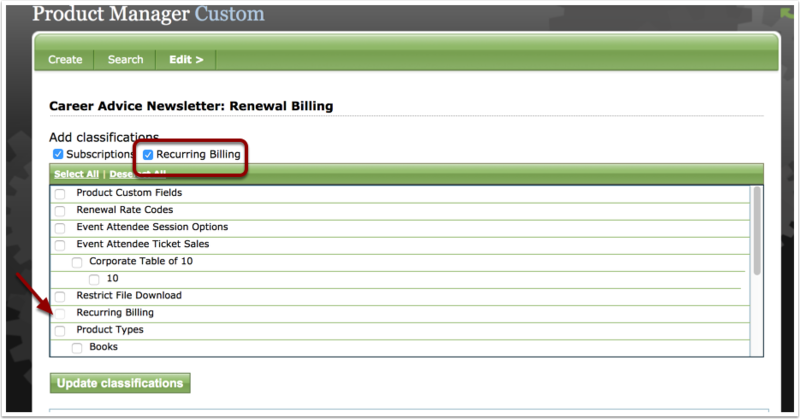 A recurring billing subscription product may have a low introductory rate for an initial time period. This is controlled by the duration of the subscription product. This price is what is initially charged to the subscriber's credit card for the subscription. 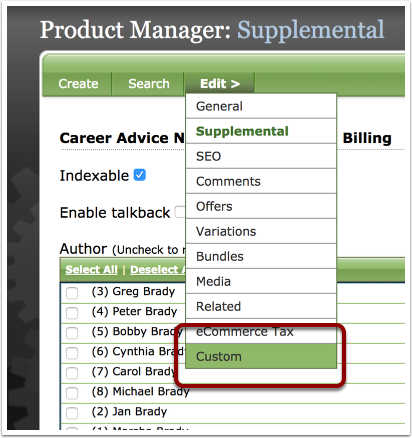 After you select the Recurring Billing taxonomy, pressing this button will surface two (2) form fields where you can enter a different price than the first price charged for the subscription. Recurring Cost holds the cost of the subscription after the initial time period has bassed. This cost will be charged to the subscriber's credit card after the initial subscription ends. Recurring Subscription Days holds the number of days until the first automated recurring billing charges will be made. Subsequent recurring subscription charges will be made every X days. Card was charged $3.99 USD for a 30-day trial subscription. After 90 days, the subscriber's saved card was charged $15.99 USD every 90 days after that. NOTE: Per Authorize.net, billing cycles have a maximum of one (1) year. Publications also have a minimum of seven (7) days. ePublishing supports automatic renewal billing for sites that the Customer Information Management module from Authorize.net. Prev: How do I create an individual subscription product using the new subscription form? Next: How do I create a standard free trial?